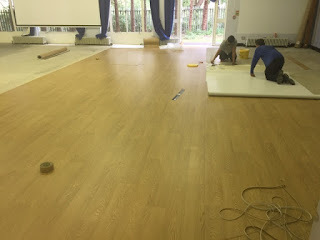 This week saw the start of the hall floor replacement. It will take five days to pull up the old floor, latex the surface, apply the new flooring and then put all the furniture back. 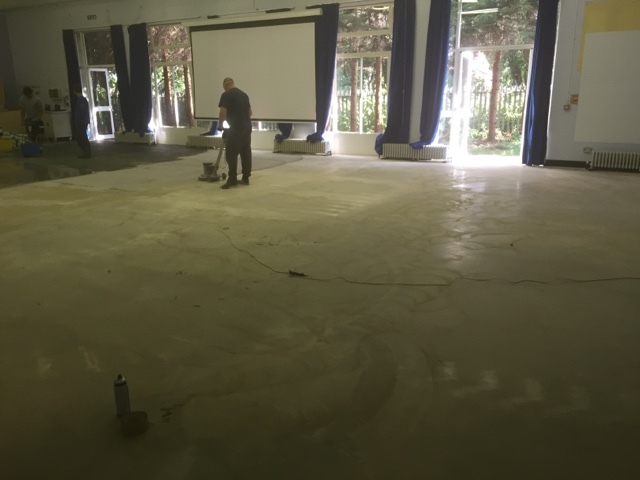 It will make a huge difference to the space and really modernise the hall. This will mean that we can repaint in October and complete the redecoration. This week saw further signage added to the building to celebrate our pupils and modernise the interior. 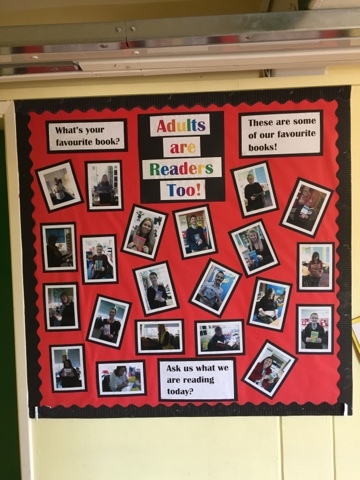 If you get the chance to go and see Mrs Smith in her new office, make sure you look at the photo collage on the wall... will you spot a familiar face? 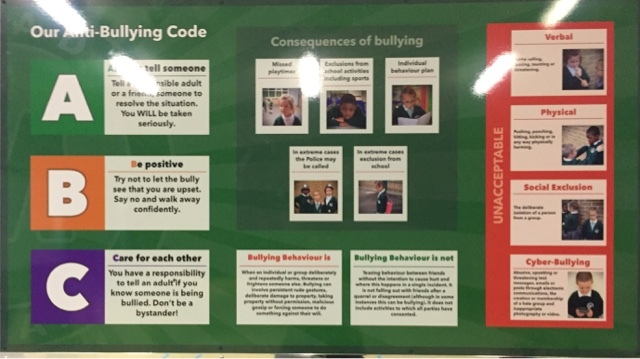 The display reminds pupils that bullying behaviour is when someone or a group repeatedly and deliberately harms, threatens or frightens someone else. 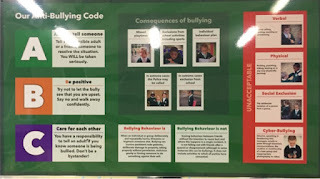 The poster also outlines some of the common types of bullying behaviour that are not acceptable. 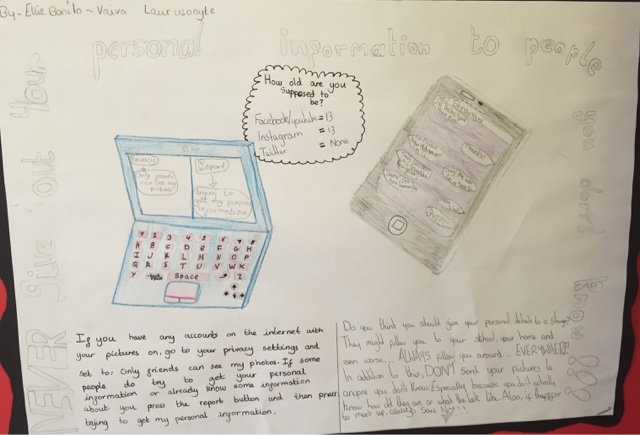 If pupils do feel that they are being bullied then it is imperative that they follow step A and always tell someone so that the concerns can be acted upon. 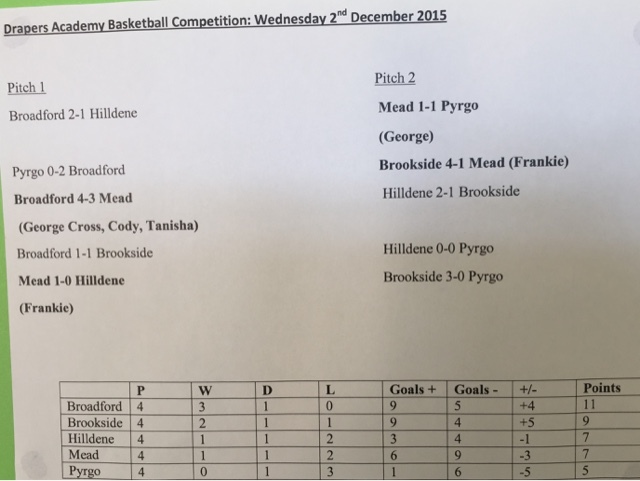 Today saw our Mead Basketball team take the journey up to Drapers' for the Harold Hill Basketball competition. The children in Year 3&4 have been working hard to develop their skills in preparation for this event. 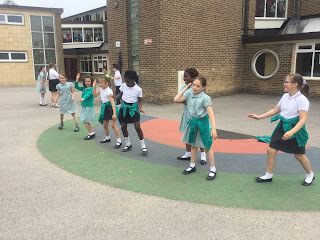 We have been practising in PE. I've really improved my shooting by remembering to push through. Before my shots would fall short of the hoop. 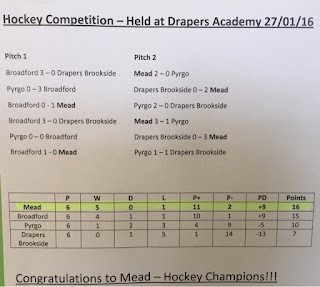 In a close fought competition Mead finished joint third... well done team! 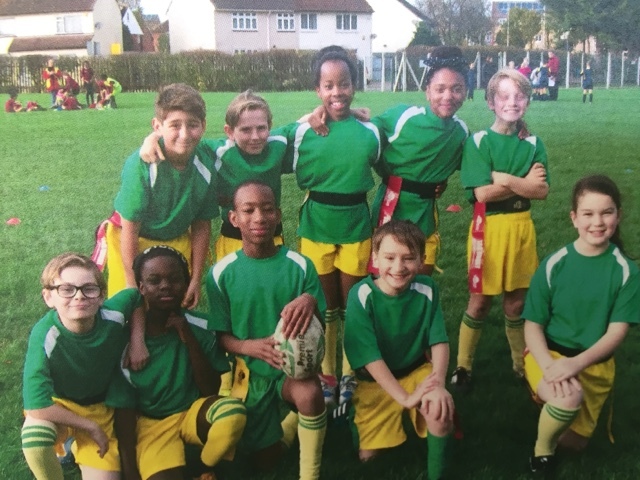 Well done to our Year 5&6 Tag Rugby team who did a great job of representing the school at the recent Harold Hill tournament. 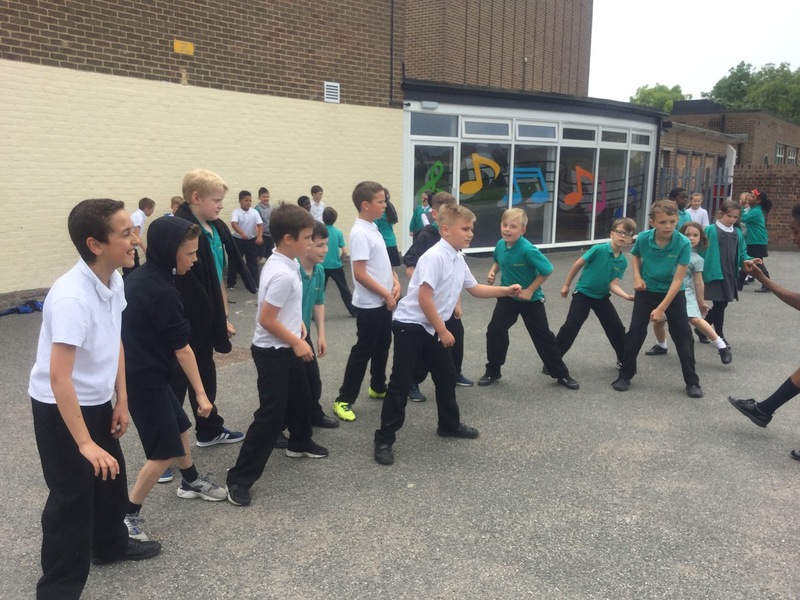 These community competitions are a great way for the pupils to apply their skills in a friendly but competitive environment. 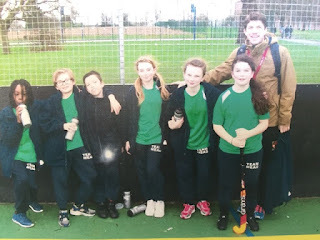 After a series of school sessions the team performed very confidently. They have really improved their passing and understanding of how they need to move. At the start many of them would forget to ensure they were behind the ball carrier... but today they did really well. I am extremely proud! 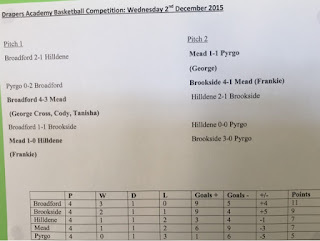 In a closely fought competition we finished with 10 points - in fourth place. Well done Mead. 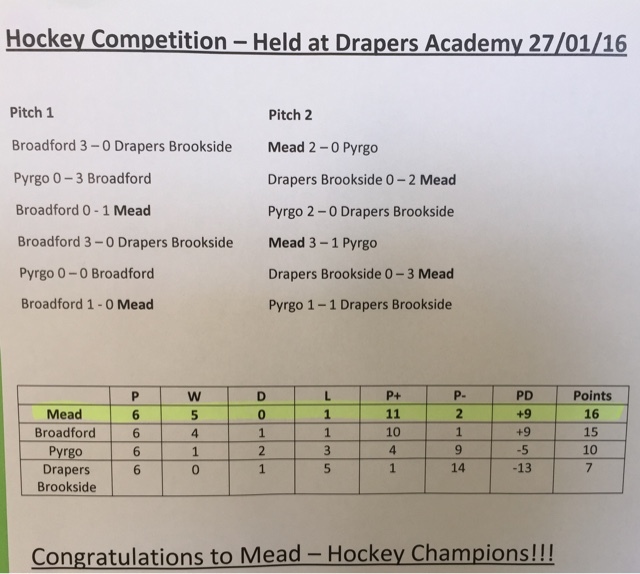 Congratulations to the Mead Hockey team who won the Harold Hill competition for 2016. After hours of training at school to develop their skills the team was well prepared. Mr Pitty has made us practise passing and shooting. It meant that we were able to take our chances today! All the hard work has paid off. I was really nervous at the start of the first match, but I just remembered to hold the stick properly and I found it easy to pass the ball. 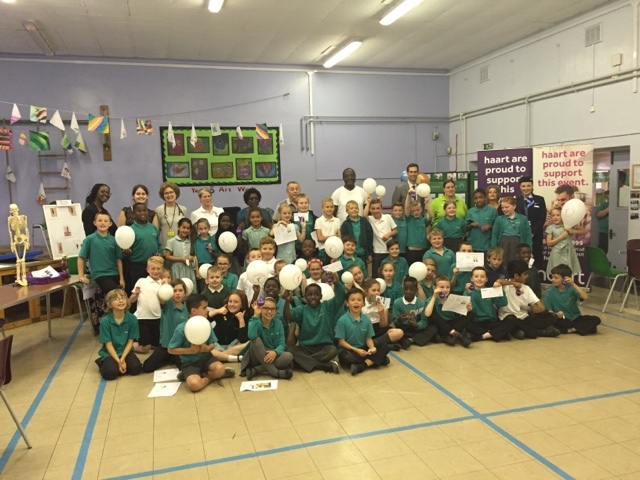 In all four of the Harold Hill schools took part. 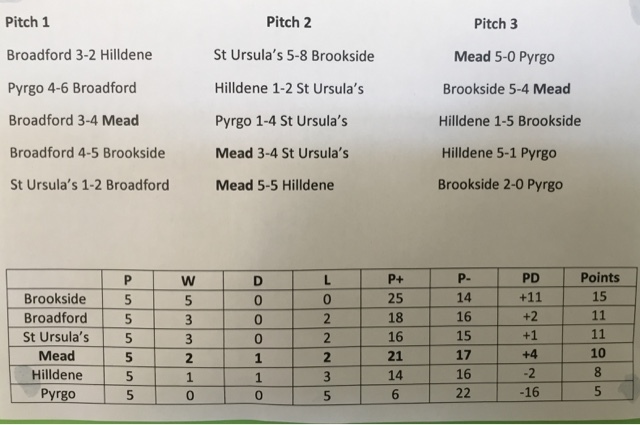 With five wins from our six matches our school topped the league standings by one point. Great job Mead! 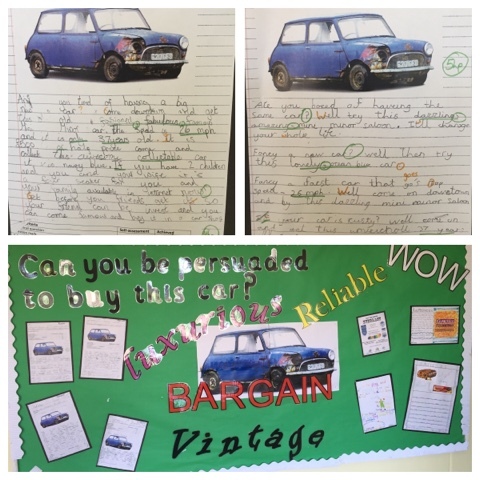 In our Literacy lessons our pupil have been honing their persuasive skills. First they had to try and convince a panel of car buyers to purchase their second hand car. 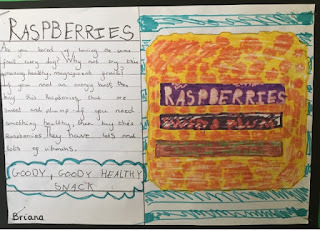 Then they had to try and sell some healthy snacks by writing a convincing argument. We had to examine the car and find all the positive features. Some of them had to be exaggerated inorder to make it sound appealing... but we couldn't lie. I chose to convince people that because the car had never broken down and had just been serviced it would be a great car to use to get to the station: cheap, reliable and not too valuable to leave in a car park. If you were trying to sell your car what features would you choose to highlight? 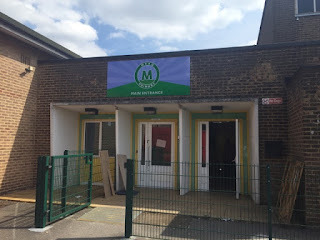 In the main entrance corridor we have had the new signage installed that will allow us to show off the pupils' writing and attendance. On the left is the attendance board. 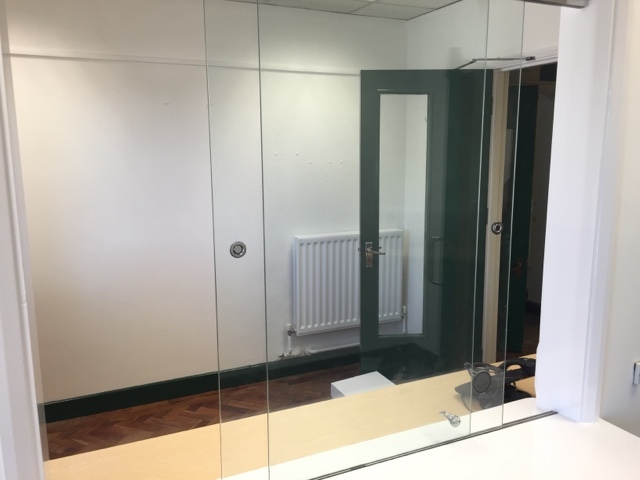 Here pupils will be able to see their class attendance percentage and how the school is performing as whole. On the right is the Star Writer board. 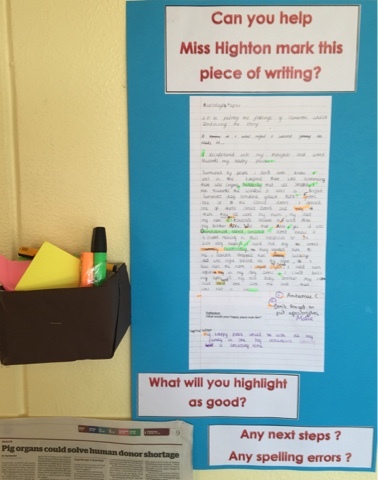 Teachers will identify pieces of writing that are outstanding for a particular pupil and make them the Star Writer for the week. 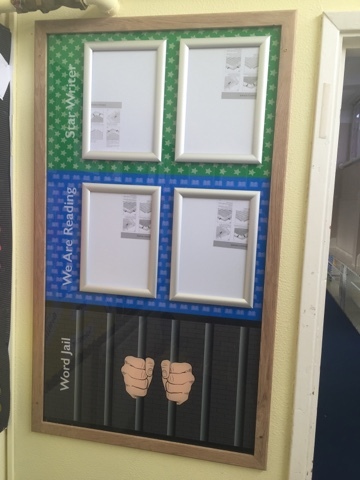 We believe that by showcasing the writing and attendance in this professional and eye catching way it really raises the profile of these two key areas and leads to greater pupil engagement. We are continuing to improve the branding and signage at Mead over the holidays. The entrance signs are now being updated to reflect the refreshed badge design. There are further plans to give the entrances a revamp and face lift... so keep watching this space! 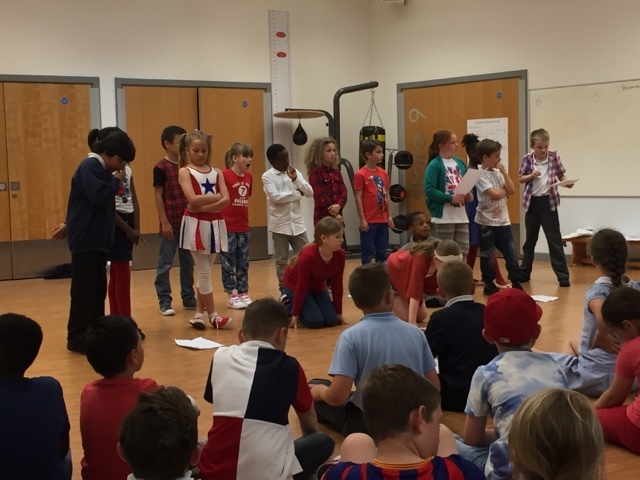 This year Broadford & Mead pupils joined together to perform a poem for the Harold Hill Poetry Performance. The theme of the week was 'Animals' and their poem was about the hyena. A strange, ragged animal of the plains, it has a poor reputation. However the children bought the creature to life brilliantly with their physical expressions and clear voices. I loved the idea of a golden meal. It sounds delicious, but really it means the lion is dead. I didn't like the hyena. He hides in darkness and doesn't like to attack unless you are weak. That's not very fair. Performing with Broadford was great fun. We had to rehearse together twice this week and it was good working with children we don't normally see. I have been travelling all morning through the bush and not eaten. I am lying at the edge of the bush on a dusty path that leads from the burnt-out kraal. I am very fierce without food and although my eyes are screwed to slits against the sun you must believe I am prepared to spring. I am crafty with dark spots like the bush-tufted plains of Africa. I sprawl as a shaggy bundle of gathered energy like Africa sprawling in its waters. I trot, I lope, I slaver, I am a ranger. I hunch my shoulders. When the moon pours hard and cold on the veldt I sing, and I am the slave of darkness. Over the stone walls and the mud walls and the ruined places and the owls, the moonlight falls. I howl my song to the moon – up it goes. when it comes lolling out over my jaw very long, and I am laughing? But I am not snarling either, only panting in the sun, showing you what I grip carrion with. I am crouching in my dry shadows till you are ready for me. My place is to pick you clean and leave your bones to the wind. 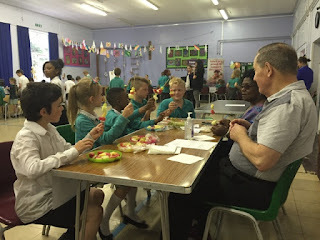 At Mead Primary we believe in giving our pupils practical and fun opportunities to apply the skills that they have been taught in their SPaG lessons. 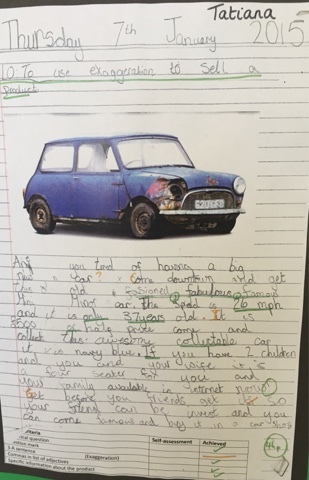 Miss Highton has been placing pieces of writing outside the Year 6 classrooms and inviting pupils to correct any SPaG errors that they can find - as long as they can explain what they think can be improved. 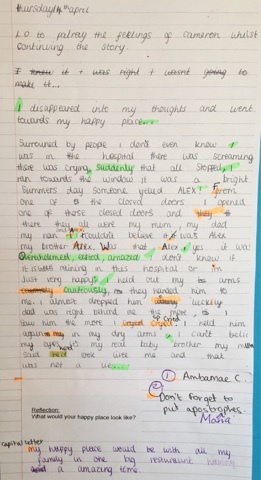 Pupils read through the piece and then add their comments with post it notes. They can also highlight the parts of the writing that they particularly enjoy. I really love the challenge. My work got some great tips when Miss Highton put it up and that helped me improved. 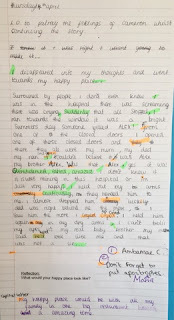 I managed to find some tense mistakes in my class mates work. 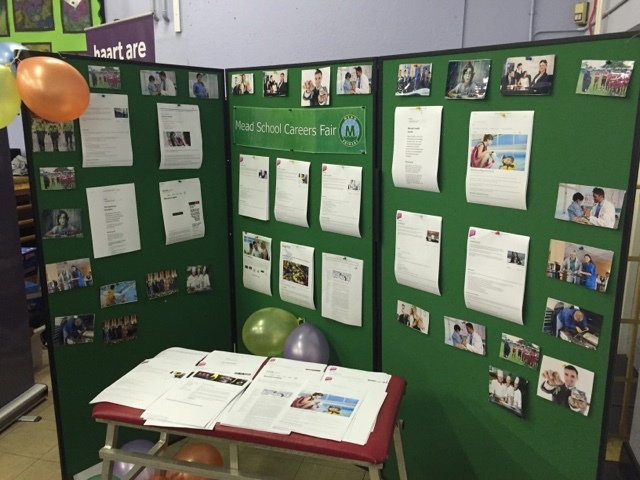 We were delighted to welcome our pupils to the 2016 Mead Careers Fair this year. Organised by Mrs Kwakwa, we had a range of local businesses who had taken the time to come in and talk to the pupils about how to pursue a career in their field. We believe that Careers Fairs are an invaluable opportunity for our pupils to meet employers and find out about different jobs and businesses all in one place. 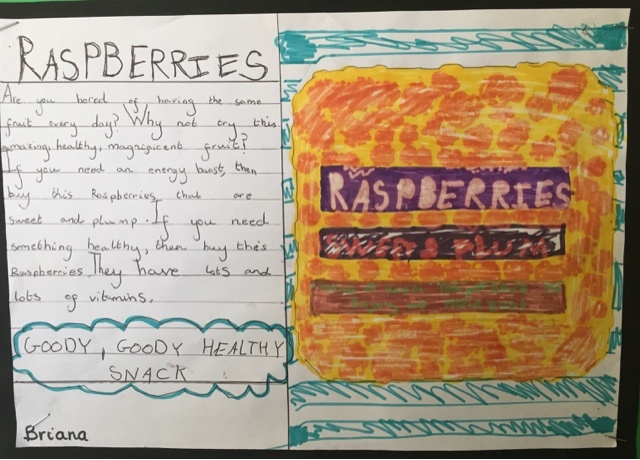 The fairs are interactive, allowing our pupils to sample the products made, complete challenges and ask questions of their own. The fairs are also a valuable opportunity for us to build strong relationships with local employers. 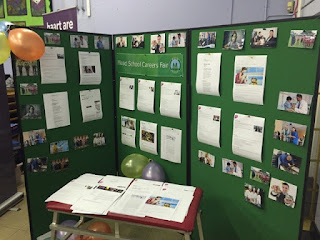 At the fair we were able to give the pupils the chance to meet with: air hostesses from Virgin, estate agents, ASDA management, a local catering firm, a headteacher, a chiropractor, the local GP, and a vet. I was surprised ti find that almost all of the jobs required you to get extra qualifications. You have to do well at school and then go to college or university. 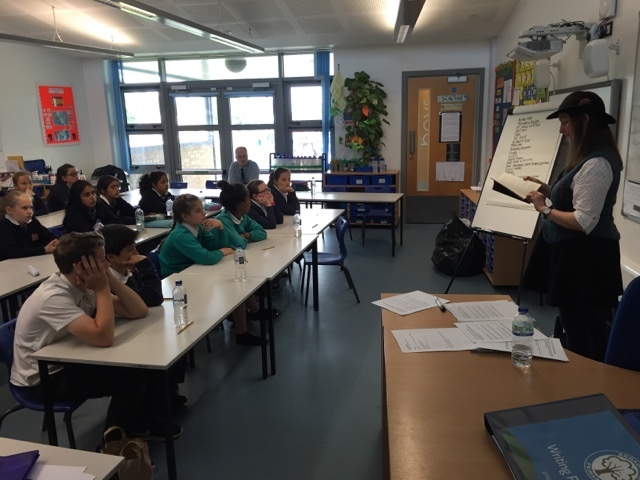 This year's Careers Fairs also linked with the More Able career workshops that we have run in partnership with Broadford that have included visits from PWC & Clifford Chance. I really like the idea of becoming an estate agent. You have to make sure that you value the house correctly. 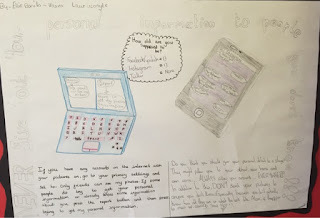 We learnt that the estate agent has to use measuring skills and be good at communicating with the buyer and seller. This fair was a great contribution that allows our pupils to be prepared for the next stage of their education, training and/or employment. We believe that our learners need to develop workplace skills that will contribute to their economic wellbeing. We were delighted and honoured to welcome the author Frances Hardinge to Mead. Her book 'The Lie Tree' was the first children’s book to win the overall Costa prize since Philip Pullman in 2001. Described as work of ‘great narrative tension’ and ‘a multi-layered page-turner’ the book has captured the imaginations of our pupils... and staff! The day was made extra special as we had guests from Bancrofts Independent School and Broadford Primary. Their pupils all came clutching copies of Frances's stories, eager to have them signed. Havering Schoolwear have confirmed that the new uniform is in stock and readily available. You need to be aware of up to 28 days delivery time. The kids went wild for the SONOS system today! We believe that our pupils will have worked hard in their lesson time and deserve the chance to have a high quality break. We also believe that we should provide resources for a range of interests: quiet spaces for reflection and reading, areas for football and the chance to dance! 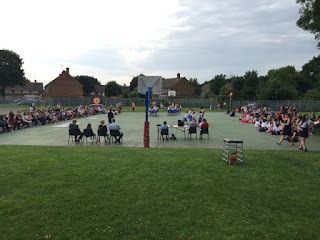 The teachers were out there having a great time with it too, and the middays showed us their moves! 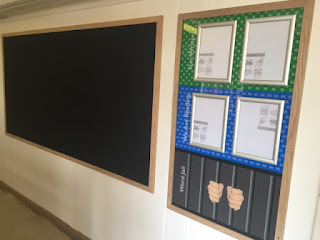 When the pupils return in September they will be greeted with smart new display boards outside their classes. 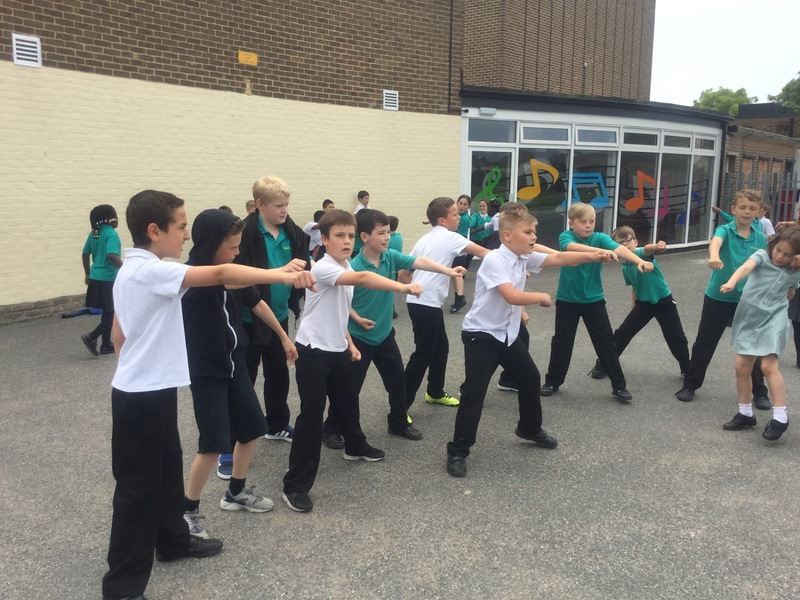 We believe that the environment in which the pupils work sets the tone for their attitude and focus. A clean, organised and crisp setting helps to raise aspiration and celebrate achievement. 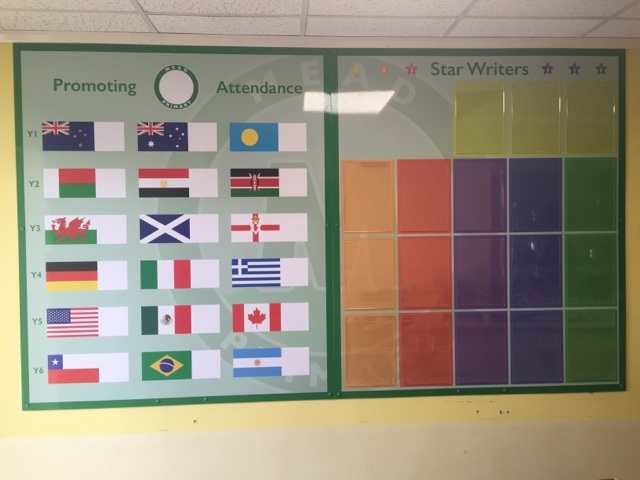 The new boards will focus on promoting reading, celebrating their writing and highlighting the need for accurate grammar and speech. 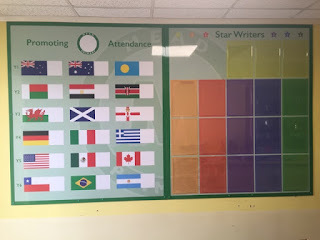 Each week the class's Star Writer will have their work displayed on the board outside the class, then it moves to the main school display - which has also been revamped. 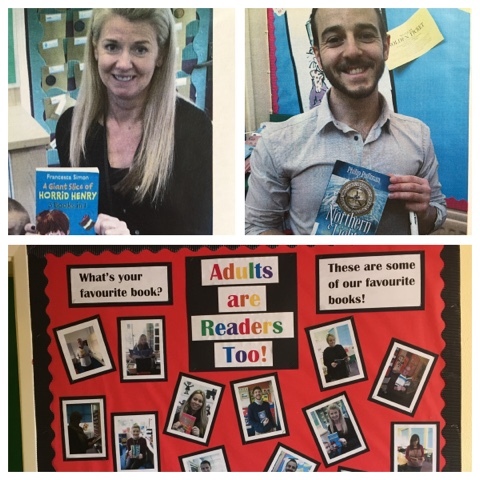 Every afternoon teachers will complete the day by reading to the pupils for 15mins - the focus book will be displayed outside the class. The mammoth task of repainting and freshening up the interior of the school is well underway this holiday. The office area is the latest part to be completed. 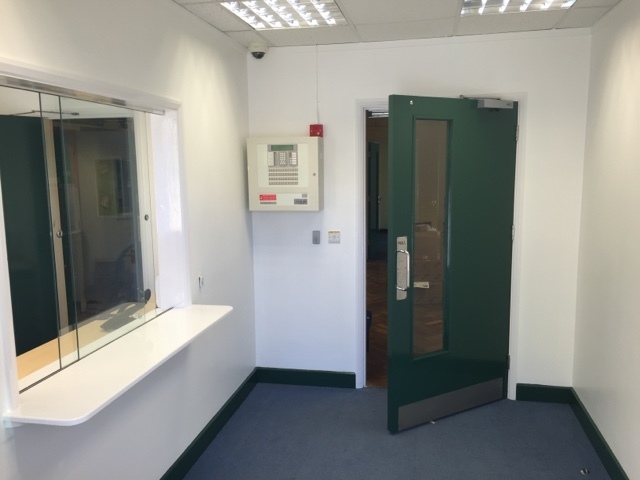 It can't be seen in the photos, but a new floor has also been added to give the entrance a bright and fresh appearance. We will be very excited to welcome you into this improved space when you return in September. We are delighted to inform you that the unsightly area of brambles that was behind the EYFS outdoor learning area has been removed. This has now opened up a substantial area for further development and gives the EYFS a much more direct route to the field. 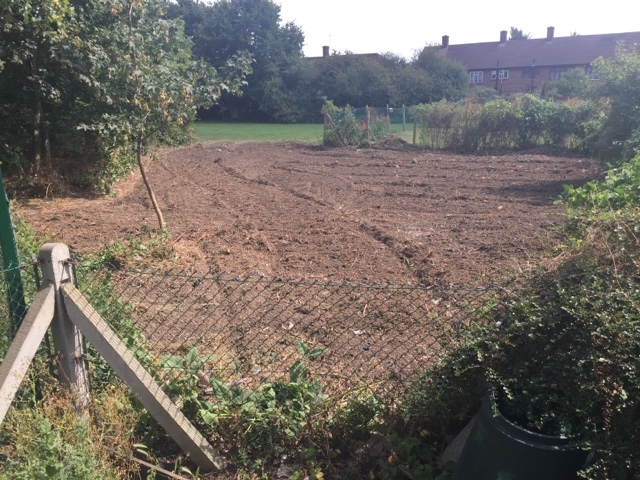 We will now be looking to improve the fencing to the neighbouring houses and provide a pathway to the field so that the area can be accessed in all weathers. 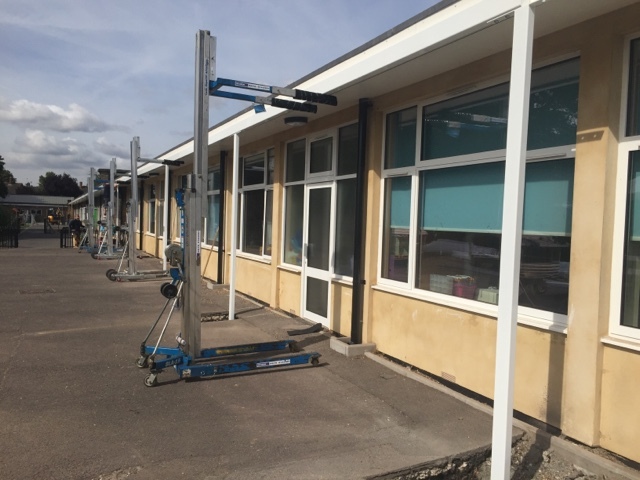 By investing heavily in the outdoor areas we believe that the pupils will be excited about learning and keen to explore, apply and develop their ideas. 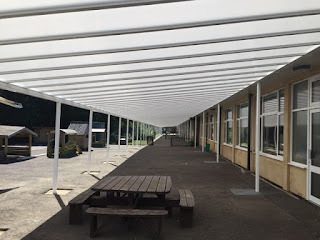 We are delighted to inform you that the canopy has now been finished. Stretching for 114 metres it is the largest single stretch canopy that the company has ever installed! 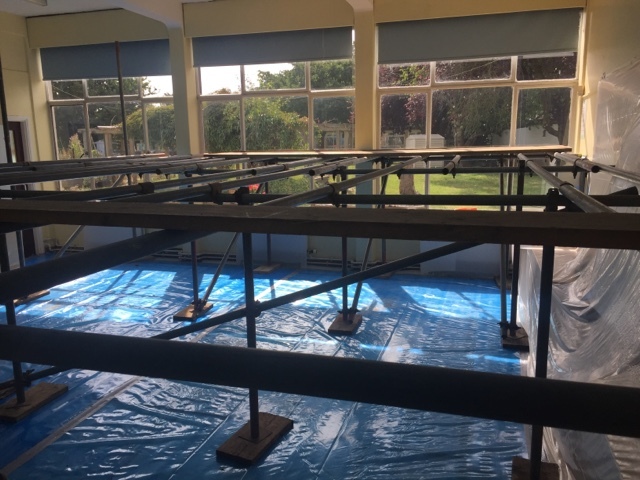 It will provide the pupils in KS1 with over 600 sq metres of all weather learning space and allow teachers to layout resources with confidence. It is our believe that pupils benefit enormously from the chance to apply their skills on a larger scale outdoors and have need space to really explore their ideas. 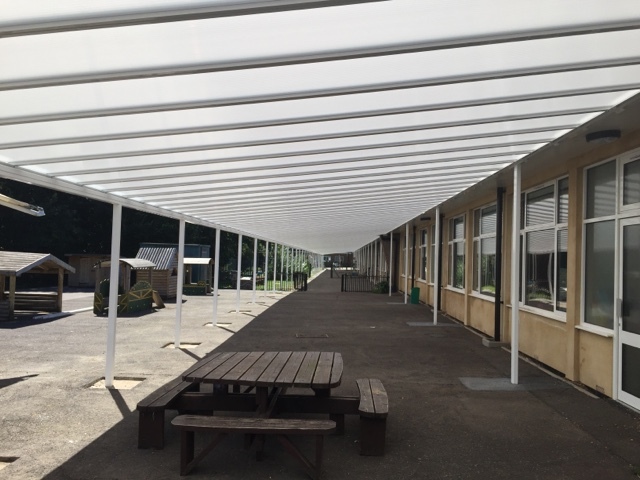 This canopy will help to enable this approach all year round. 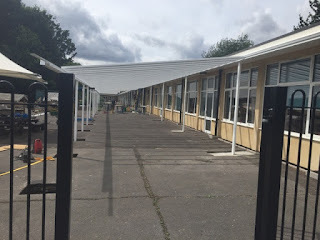 Thank you to Able Canopies for an excellent installation. At Mead we believe that staff should model themselves as life long learners and as lovers of reading. To promote reading to pupils our staff have been showcasing their favourite reads in class and using them in the end of day story time. I loved listening to Mrs Smith read extracts from The Lion The Witch and The Wardrobe. Once I had heard it I borrowed the book from the library. On July 6th we enjoyed a very successful evening of Country Dancing at Pyrgo Priory. The vast majority of schools from the Harold Hill area were able to take part, which created a wonderful community atmosphere. 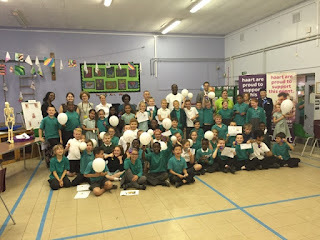 Attended by the Mayor, the annual event was enjoyed by all. 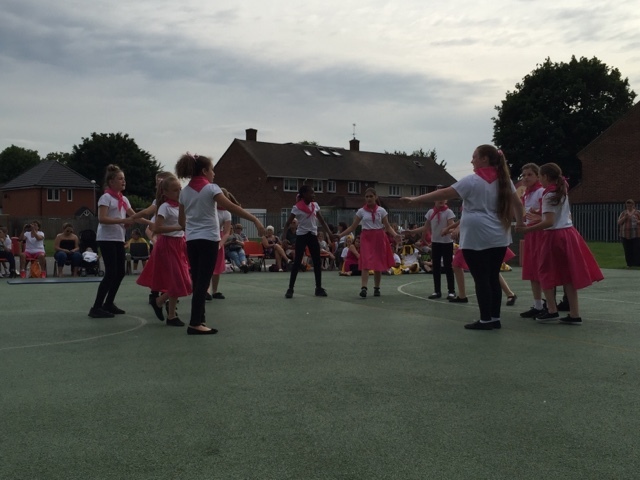 Each of the schools (Broadford, Pyrgo, Brookside, Drapers Maylands) performed a routine, before all of the adults were invited to join the floor for a group dance. As ever this was a very successful event which bought all of our schools together to celebrate a great British tradition. Thank you to Pyrgo Priory for doing the organising and being such great hosts. 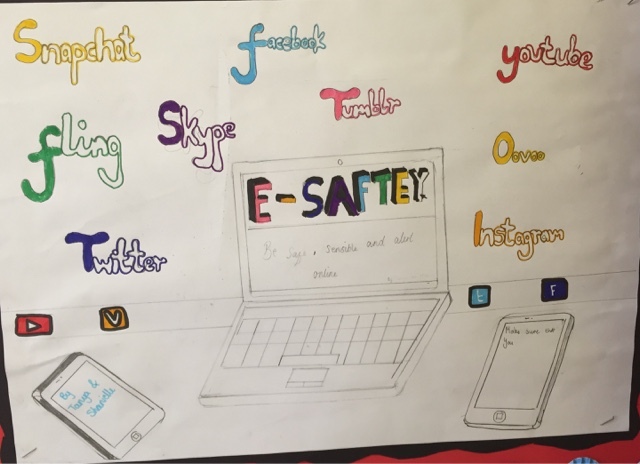 Pupils at Mead Primary have been learning about social media and how to stay safe online. Normally we tell our children to share but online it's different. In fact, sometimes sharing online can be dangerous. Together our Digital Leaders and School Council members made up a campaign to inform pupils of ways in which they can stay safe with the different social media apps. For parents, we advise that talking to your child is the best way to help keep them safe. But with things changing all the time, it can be hard to keep up to date. If parents need more advice on how to stay safe they can use the NSPCC helpline: 0808 8005002. 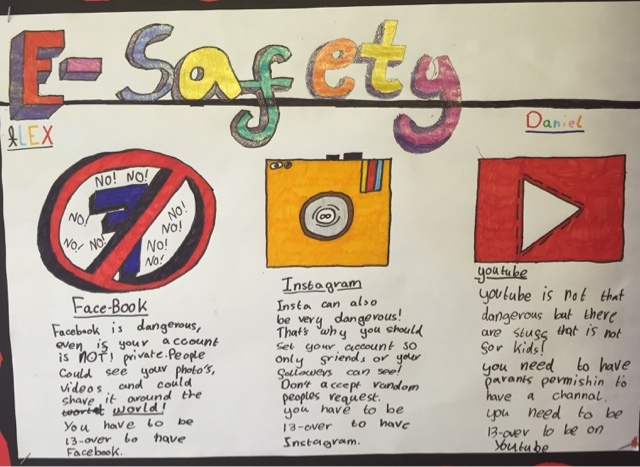 The straightforward, no-nonsense advice was communicated to the pupils via posters, and show simple ways in which you can stay safe online. 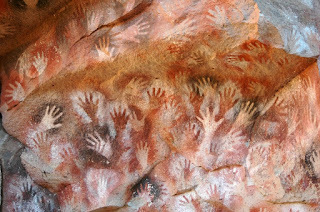 Did you know that most cave paintings during the Stone Age were of animals or hunters? We found out that the walls would have been really crowded with pictures. They would have been done by lots of different painters. 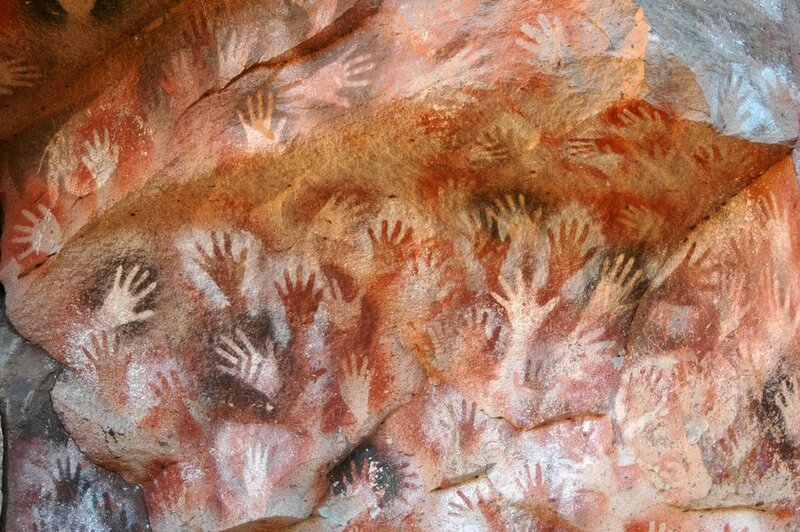 Hands were also very popular. In their art classes the children have been experimenting with the natural colours they could extract from leaves, plants, soils and minerals. Another technique that the children learnt about was making hand impressions by blowing paint around their hand. We looked at a cave from Argentina... it was amazing. There were so many hand prints on the walls. We had a go at recreating it in our classroom. 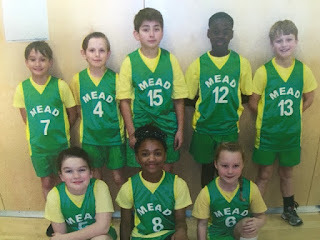 At Mead we believe in empowering the pupils to apply their skills in real life. 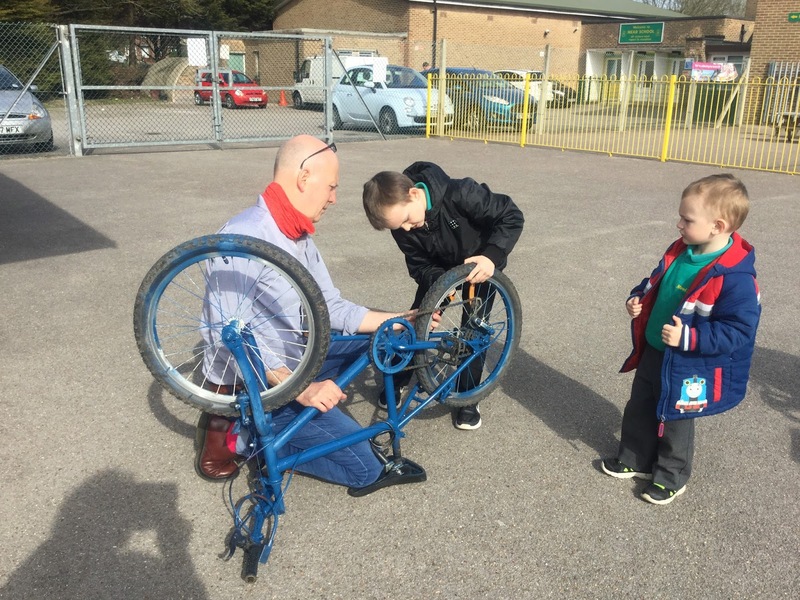 Following the training provided by Bike Club, our young mechanics have been able to assist other pupils. 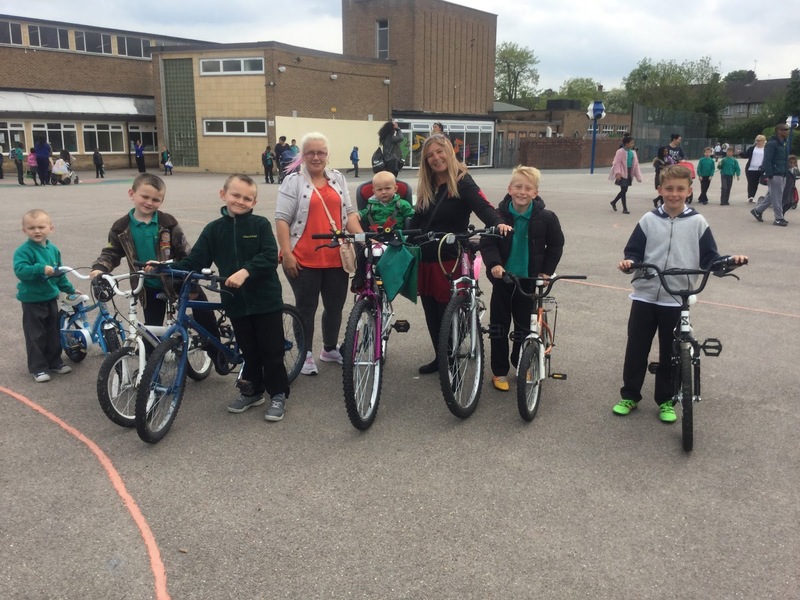 Here are some photos of our cycling hero, Jamie Alexander (aged 10) from Year 5 at Mead Primary school. He has been learning from Jeremy Tranter - of Sustrans - how to mend punctures, and teach children to ditch the stabilisers. 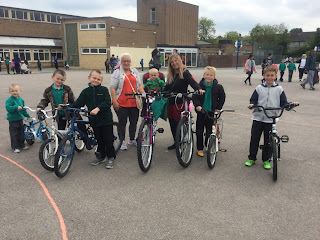 Jamie has been a very useful assistant for the Year 3 / 4 bike club. During the Big Pedal, he got his whole family and friends out on their bikes, and they have continued to use them since. He is a real star! The Junior corridor is currently covered in scaffolding and plastic as the latest round of ceiling replacements and electrical works is now well under way. 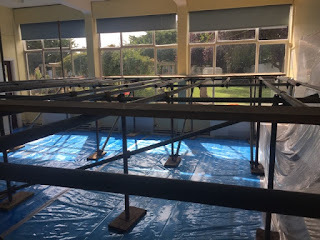 The works being carried out will ensure that the classrooms have all the services they need to provide a great learning environment for the children. 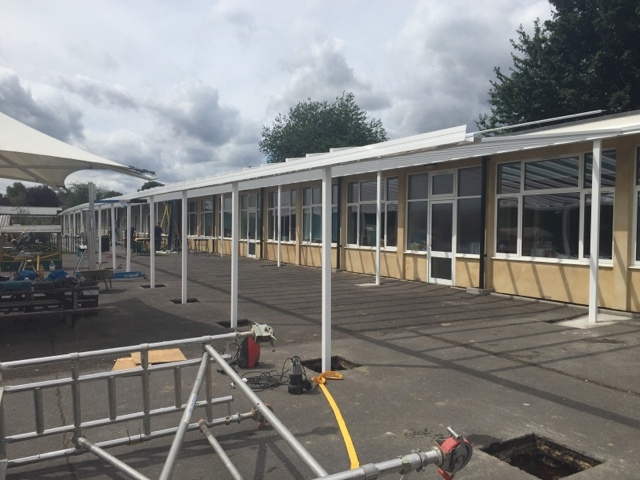 Once they are complete we will then be able to further improve the windows, flooring, ICT and furniture provision. The steels to support the new canopy for KS1 & EYFS are now all in. The front poles and roof bars will go in later in the week. Hopefully the whole structure will be complete by the beginning of next week. The aim is to improve the quality of the outdoor space so that pupils are able to learn in and outside, with teachers able to plan with confidence free from the worst of the weather! 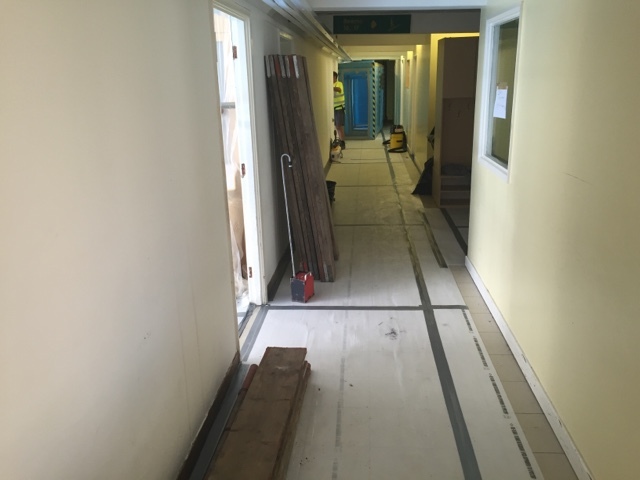 The Junior corridor is currently covered in scaffolding and plastic as the latest round of ceiling replacements and electrical works is now well under way. This will further improve the building and ensure that your children are getting the best environment possible for their education.